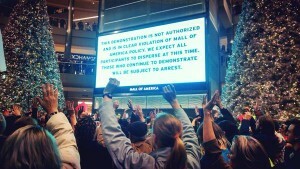 Heavy-handed security efforts at the Mall of America and elsewhere did not deter Black Lives Matter protesters, who disrupted holiday shopping and travel on Wednesday to call attention to systemic racism and police brutality in Minneapolis and beyond. This entry was posted in Civil Rights, Demonstrations & Protests, Economics, Government, Human Rights, Peaceful resistance, Racism, Social Justice, Solidarity and tagged Atrocities, BlackLivesMatter, Civil Rights, Economics, Human rights, Mall of America, Police Brutality, Protests, race, Racism, social justice, Social Media, Solidarity on December 24, 2015 by ew. Written by Sarah Lazare, CommonDreams staff writer. Published February 13, 2015. 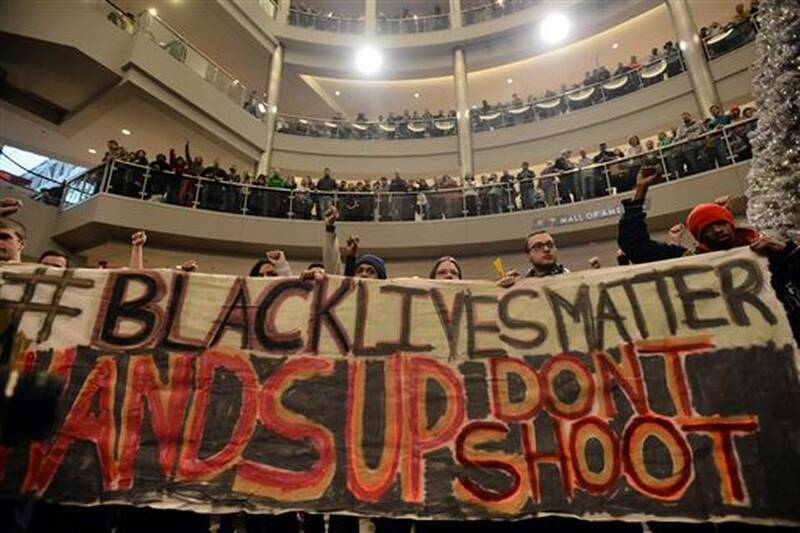 This entry was posted in Civil Rights, Demonstrations & Protests, Human Rights, Social Justice, Solidarity and tagged BlackLivesMatter, Bloomington, FBI, Mall of America, MOA, Sandra Johnson on March 15, 2015 by MNgranny. When world headlines hit close to home, Americans and their media have a tendency to view things from a myopic point of view and fail to grasp everything worth considering. 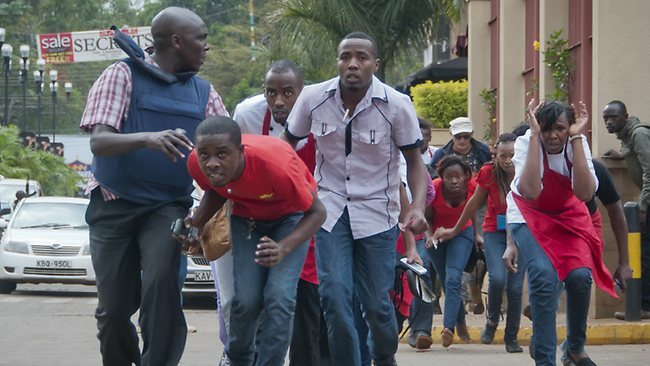 Most recently, the terrorist group al-Shabaab has directly threatened western malls, naming the Mall of America as one of the targets they wish to see attacked in the style of the Westgate Mall tragedy in Nairobi, Kenya in September, 2013. This entry was posted in Civil Rights, Demonstrations & Protests, Government, National Security vs Police State, Religion, Social Justice, Solidarity, Terrorism, Uncategorized and tagged al-Shabaab, Atrocities, Civil Rights, DHS, Kenya, Mall of America, Protests, Security, Solidarity, terrorism, Westgate Mall on February 24, 2015 by MNgranny. 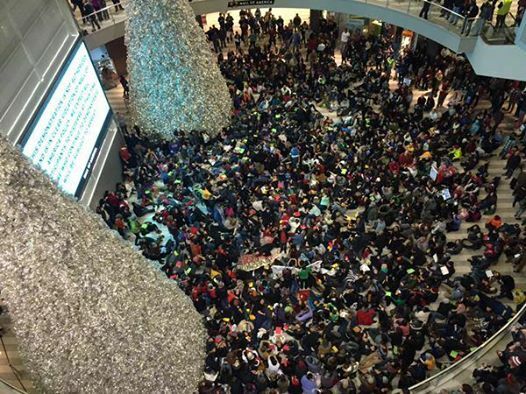 On the Saturday before Christmas, over 3,000 people gathered at the nation’s largest shopping mall as part of the Black Lives Matter protests that were happening nationwide at the time. 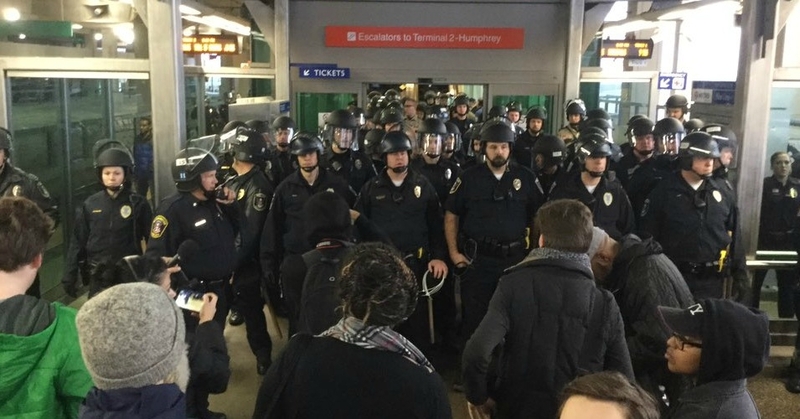 We wrote about the MOA protest and how the various local media outlets chose to cover it, and wondered what the aftermath would be. 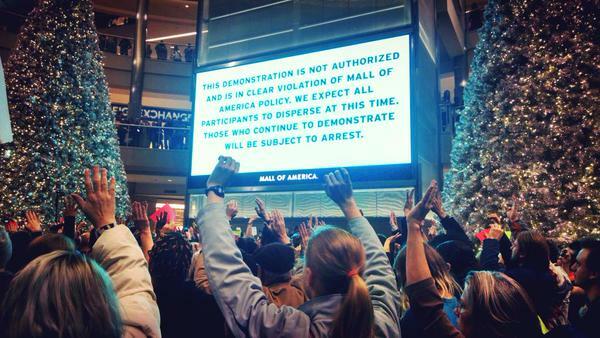 This entry was posted in Civil Rights, Demonstrations & Protests, Government, Human Rights, Media Issues, Social Justice, Solidarity, Uncategorized and tagged BlackLivesMatter, Bloomington, Democracy, Freedom to Assemble, Mall of America, Protests, Security, Social Media, Solidarity on January 15, 2015 by ew.